Some updates from Paradise follow. Nuts, nuts and more nuts. Someone had to do it . . . 2,4,6,8,10 . . . 5546,5548,5550 . . . five thousand five hundred and fifty peanut seeds, more or less exactly! Yes we counted them and assuming that there’s a 10% failure rate, that’s around 5,000 peanut plants getting started now as I speak. In early next year (that’s in less than one year) I will probably have converted three plants I scrounged off the brother of a friend into 50,000 peanuts. Talk about return on investment! Nature is insanely generous. 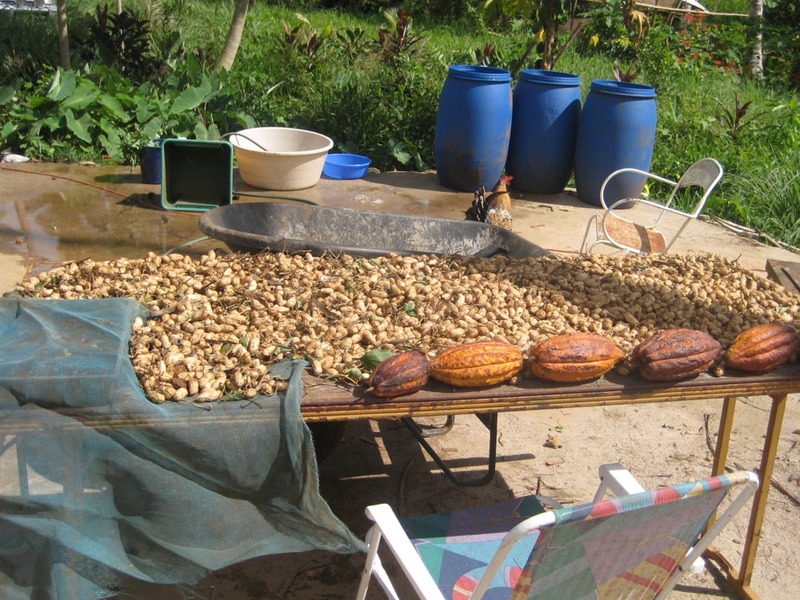 Three plants will eventually likely produce 50,000 peanuts inside of only one year as 3 plants (begged off another peanut farmer)=38 seeds. 30 plants (thanks to chickens and infertility)=380 seeds. 300 plants (I hate those chickens! )=5,000 seeds. 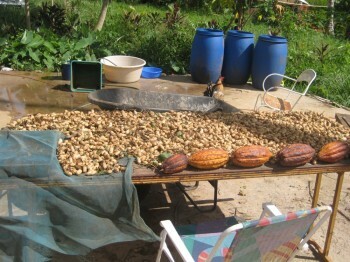 4,000 plants (est)=50,000 peanuts (est) or more. Unreal! 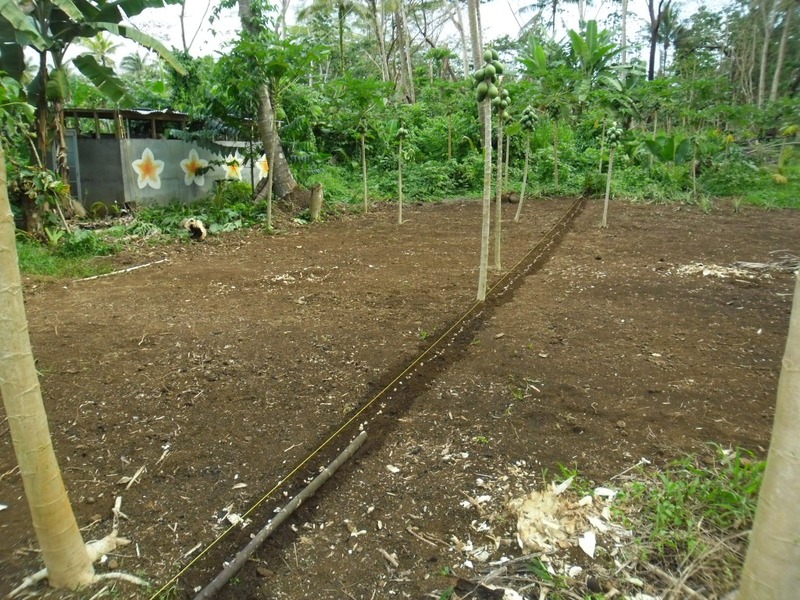 I’m planting an area 13m x 26m in 28 rows, 450mm (or one machete blade-length) apart at 120mm distance. Peanut butter here we come! 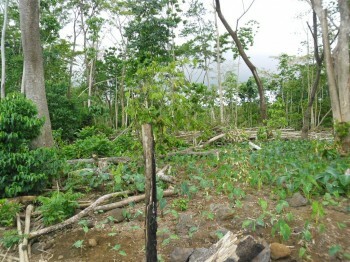 Section clearing – cut the trees, burn them, cart away the stones then plant. Taro next year! 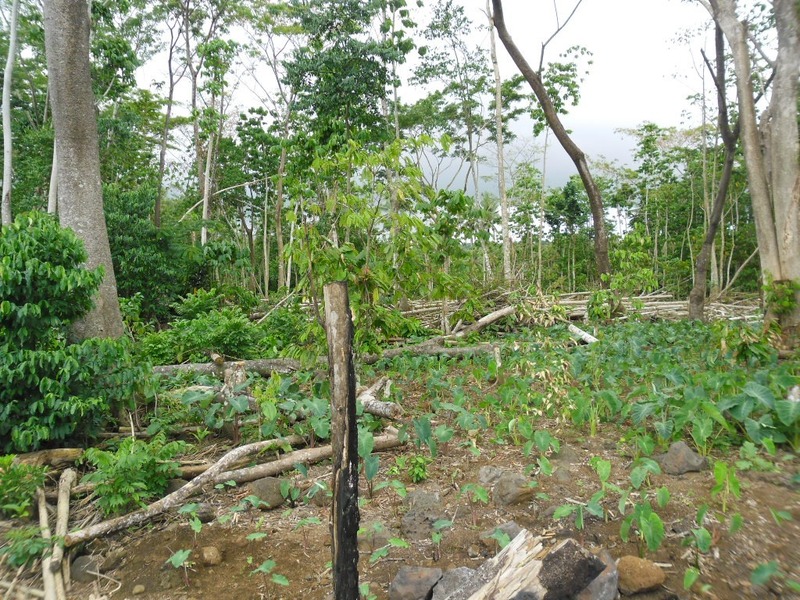 Over the last month I’ve started clearing the last acre or so of bush – mostly rubber trees – by hand, with a machete and axe, even though I have three chainsaws! Tau, the small engine mechanic down the road has fixed the Stihl chainsaw muffler four times. I’ve given up on him AND it. The Poulan chainsaw blade has done in it’s bearings and needs a new blade. Ace Hardware who sold it to me doesn’t have any spares and doesn’t know who does – great! Thanks Ace [not]. My good Stihl chainsaw is still “stolen with no return in sight” despite the fact that it’s now well over 18 months since I reported the theft; we all know where it is and I have gone as far as requesting TWO Assistant Commissioners of Police to process the case! 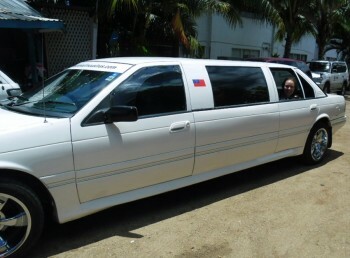 Such is life in Samoa. Just grin and bear it. One day something might happen. First, chop the trees down, then pick-up-sticks and burn them. Then pick-up-stones which are then carted off to build the patio/deck area. 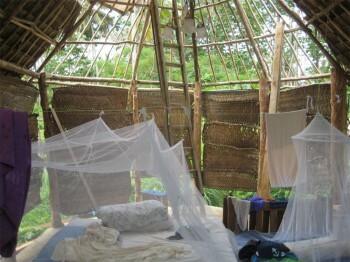 Then plant the new ground in tiapula (baby taros). There’s only one word for all of this: work! 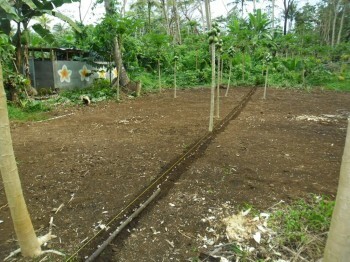 Thatching is progressing on the Fale Samoa. Getting the Lau leaves however is a mission. The Fale Samoa is starting to look quite nice now. 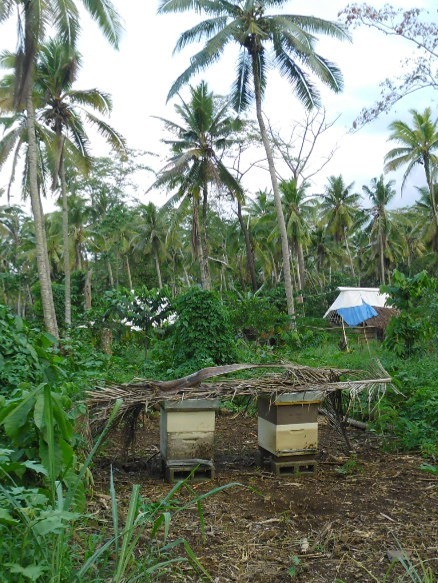 The beehives have arrived. They now need a shelter to keep them cool. ANOTHER job! The bees have arrived. I kept bees in Mt Eden over 30 years ago, so this is a bit of dejavue for me. Lester the local bee “chief” tells me to feed them up and we’ll see how they go on Camp Samoa land. Hopefully they will find some nectar out there somewhere and we’ll have some sweetness in the home next year. The limo has finished its refit and looks nice – all ready for the silly season with advertising in the local rag about to start soon. Club Samoa took another step closer with the recent incorporation of Club Samoa Ltd in New Zealand. Our General manager has been appointed and we have a meeting scheduled with the team and Prime Minister Tuilaepa in the new year. More news on that front as it develops. Great to see that land changing again and again ! Your house now has a thatched roof – well partly completed, and your land is needing a good weed. My weedeater is still with the thief so I need you back here when you can make it!